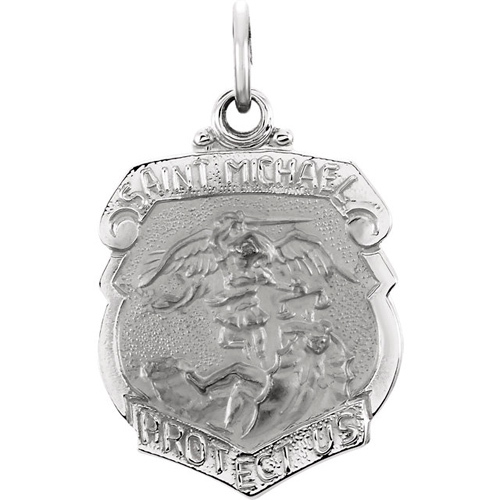 St Michael badge medal is made of polished 14kt white gold. Weighs 3.41 grams. Please note: weight is approximate, actual weight may vary. One of the archangels, St. Michael is the popular patron saint of policemen and radiologists. Looks better than the picture did. 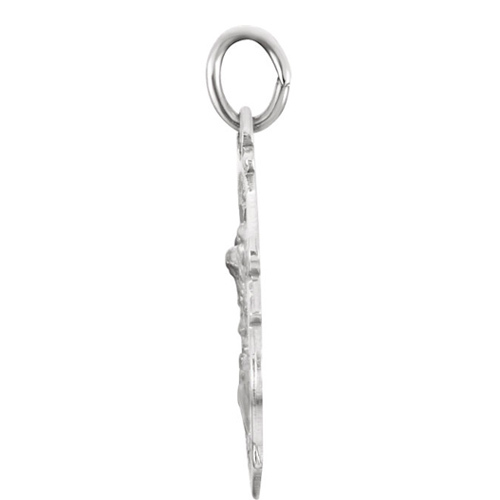 I looked everywhere for a high quality St. Micheal medal until I found this one.